Trends can be described as a fashion, something that is constantly changing year on year. This is the same with home décor. 2019’s trends seem to allow us to have more fun, add more colours and personality. Here are a few tips so that you can keep your home on trend this year! Every year Pantone, the colour institute, predicts what they believe will be on trend colour of the year. Last year it was Ultra Violet, this year it is Living coral: a lovely warm peach shade with earthy undertones. The natural and earthy undertones make it a colour that is easily paired with a variety of colour palettes. 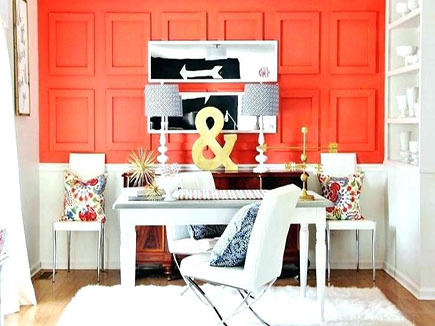 Living Coral is very different from the neutral colour trends over the past few years. The perfect way to incorporate this pop of colour into your home without overdoing it would be through accents, whether that be a feature wall, accessories or small pieces of furniture. Last year it was all about matching furniture sets giving off a showroom vibe. This year it’s more fun. It is about having the freedom to mix and match furniture, especially in the living room, allowing for creativity to blossom. Mix and matching allows you to incorporate different textures and colours into the room adding more life and personality. 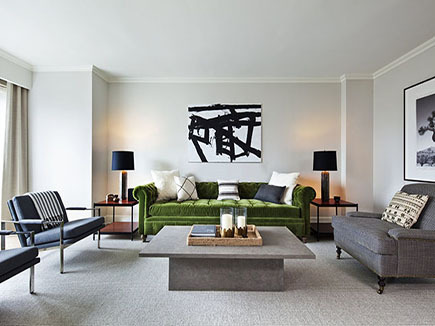 This year is the time to experiment and allow your living room to be a reflection of your personal style. 2019 is the year where we show a modern and abstract interpretation of the traditional floral print. 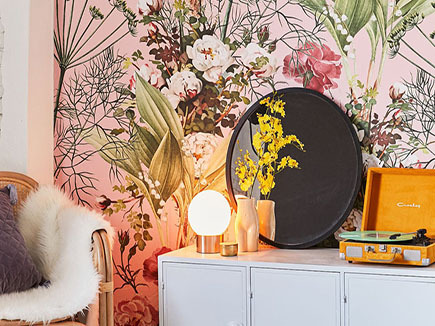 This trend can be added into your home through floral wallpaper but also floral printed furniture and fabric for a more subtle look. 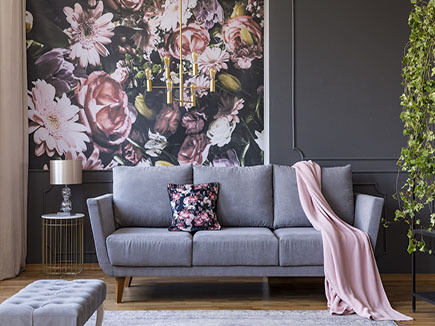 If you are worried about overdoing it using accents is a great way to add floral print into your room in a more muted way. Whether this is using floral print cushions on a neutral sofa or a floral print wall. Having 90% white with 10% colour in a room is also another trend for 2019. Discount Insurance can provide you with great value Home Insurance call 0800 294 4522 for a quote today!